Swing by for a swinging event Tuesday September 17 2013 at Brooklyn Parlor in Tokyo. 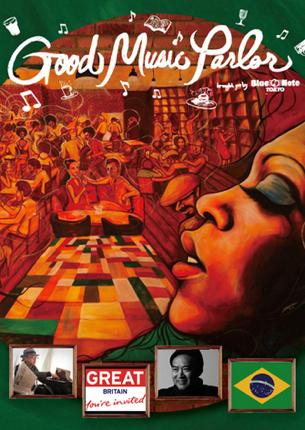 Together with Ashley Harvey of Visit Britain I’ll be spinning some smooth, funky London soul, Acid Jazz and new grooves at our Music From UK night at the Good Music Parlor series of DJ events at the very snazzy cafe/bar Brooklyn Parlor in Shinjuku. And there’s a chance the Brand New Heavies will drop in to say hi!! They’re in Japan for dates at the Blue Note. This entry was posted on Monday, September 16th, 2013 at 10:48 am and is filed under Events & Experiences, London Direct, Tokyo Direct. You can follow any responses to this entry through the RSS 2.0 feed. Responses are currently closed, but you can trackback from your own site.